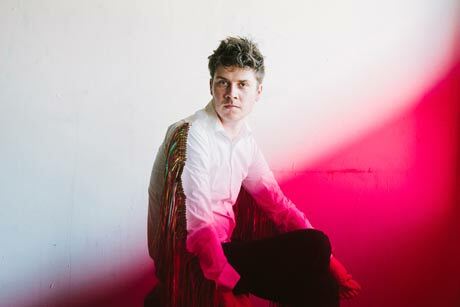 Jordan Klassen Announces North American Tour, Shares Video for "The Horses Are Stuck"
Hot on the heels of releasing his Repentance LP via Nevado Records this week, folk-pop ideas man Jordan Klassen has announced more dates on his ongoing North American tour. The run of shows includes stops Canadian stops in Calgary (as part of the BreakOut West conference), Montreal, Ottawa, Toronto, Waterloo, Winnipeg, Regina and Saskatoon. Along the way, there are a handful of American dates sprinkled in as well. On top of the new itinerary, Klassen has also shared a video for album track "The Horses are Stuck." The clip, which was shot by Amazing Factory Productions, follows a man as he trades in his droll office life for some time in a wheat field with a mystical fur monster along with some other adventures. Check out the video for "The Horses are Stuck" below.